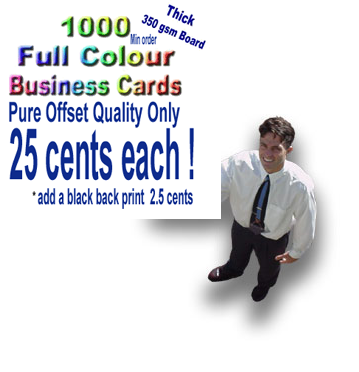 1000 Full Colour Photo Quality business cards delivered to your door for NZ $249 + GST within 7-12 days. That’s what we call great value and an awesome value printing service. For business cards in New Zealand you can’t go past us and Australian customers take advantage of New Zealand’s Incredibly low exchange rate. You can compare prices all day. 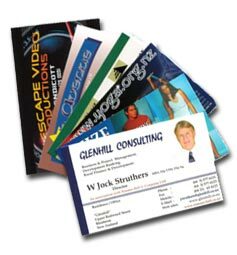 We are experts in making sure your business cards do their job. Which is presenting a professional image of who you are and what you do. There is no doubt that quality business cards are one of the best value for money investments, you will make in your business! Quick Links! Design template for sizing. How do we deliver such awesome value? CLICK HERE for our secret! Printing is done on top quality cardboard “not a flimsy card”. 4 Color process using Heidelberg offset printing. Wholesale and reseller program available! Our quality is extremely good , We dare you to compare! Make sure your comparing apples with apples! Premier quality stocks are used for a a good deal longer life and a crisper print. We use only Photo Quality. Don’t be one of those enterprises who has not put enough thought into how promotional items can be used effectively as a tool for them. There is so much value you can add to your business with a simple promotion item. We will be only to happy to help you out with the design. Contact us for more details. We are based in New Zealand NZ, which is ideal for International Customers to take advantage of the low value of the New Zealand Dollar. 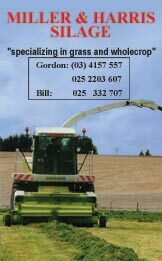 All Prices on this site are in NZ$ . To get a accurate up to date conversion use the Earth First Currency Converter. In the event that any text on your card differs from the artwork you have approved. We guarantee to make the corrections necessary and replace them at no charge. Please follow the steps outlined on our ordering page for a fast & efficient service. We guarantee you a hassle free experience, when you follow our simple instructions and ordering process.